I was going to tackle the recent Legendary Pink Dots and Ka-Spel solo CDs, like 10 To The Power Of 9 and Victoria Dimension albums, first, but now this collaboration came in the mail yesterday from The Silverman (AKA Phil, the Dots synth player) in Nijmegen, @ The Terminal Kaleidoscope, being Dots HQ for mail order in Holland. As much as I think The Dots are better and more coherent now than the past 12 years have been for them, I find this LP to hit me smack over my head to be the ultimate recent LPDs related album as regards vintage synthesizers and Sci-Fi lyricism combined, since the 80s and 90s LPDs material in particular. Edward Ka-Spel does all vocals and some synth (I asked him if that was a Moog on the track Needles IV like I thought was used on Film Of The Book AKA Astrid by the early 80s Dots) he replied it was not, as he could never afford a Moog, and that it was a soft treated synth instead. And he informed me that on Film Of The Book indeed was not a Moog but a Juno 6. I blame my synth expert friend I played the track for for the error! So Philippe Petit does the instrumentation like guitars and drums and keyboards as well. But lyrically it seems its all Ka-Spellian futurism. Lots of parts of the album come across as the early Dots mixed with The Black Corridor by Hawkwind (the deep space poetry!) and early Tangerine Dream between the early Electronic Meditation and Phaedra LPs somewhere. Side A opens with the track Subterranean, Homesick which is pretty good for an opener, and is sung by Edward about alien signals and orders “sent from up on high”. Most of the LP contains some spoken lyrics (there are four tracks on the LP and the download has a 5th shorter track as a bonus), like the second track, Giant Steps Post which is pretty funny, with Edward as a lone astronaut calling Earth that life has finally been encountered on the far outer fringes of the galaxy. In fact, the life forms are small furry creatures cuddling with no apparent intelligence, yet the astronaut says to Earth that maybe we should teach them Human Mercy and civilization. “There are millions of them! We have found life…!!! We are not alone!! !” – yippie ya YAY! The third track is the majestic synth track I first mentioned, called Needles IV. It is about 10 minutes long and is like a serious drag on a joint full of black India hash and a Chrome track from the early 80s maybe. The synth sounds very analogue, vintage and stretches out with some serious rhythmic analogue thrashing keys. The 4th track is a very short filler, if you have the download or CD. However the final track, Where Does The Sound Go, is very spacey, with Edward saying his voice is travelling into endless space like on “a butterfly flapping its wings”, referring to Quantum physics and “The Butterfly Effect” and that somewhere far away all the sounds from the poets, screaming babies to cursing drunken sailors, through the ages, all intersect like on, at a far off edge of the universe…. during between stations static tuning of an analogue AM radio, as noise. “With these few words I make a mark, that never can be eradicated, it does not matter that so few of you hear them… what is important is that my voice will travel the ever vastness of space, far beyond when I have ceased to exist, at least in this form…”, is Edward’s opening recital that lasts for over 10 minutes. What a mindblowing end to this record of vintage style Spacerock! 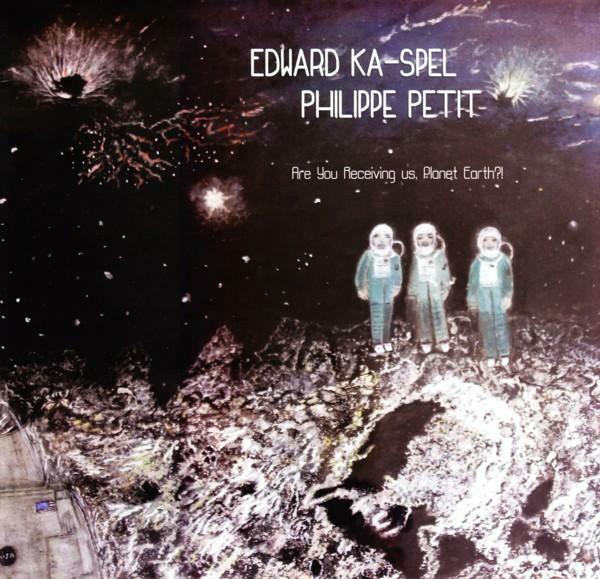 I think Edward and Phillippe have created a masterwork here, and one should definetly go grab a download or an LP, as the CD is sold out by now. The LP is ltd. to 299 copies space fans! Go get this album now. It is sublime psychedelic spacerock, and comes so very highly recommended.